VARIETY is the spice of life at Hideout, with everything from grime and UK hip-hop to solid techno represented in the line-up; Paul Woolford, B.Traits, Charlie Sloth, Bicep, Bugzy Malone, AJ Tracey, DJ Sneak, Skream and Horse Meat Disco make this one very hard to turn down. STAFF PICK: George Fitzgerald — that superb recent LP proves he’s back on top. 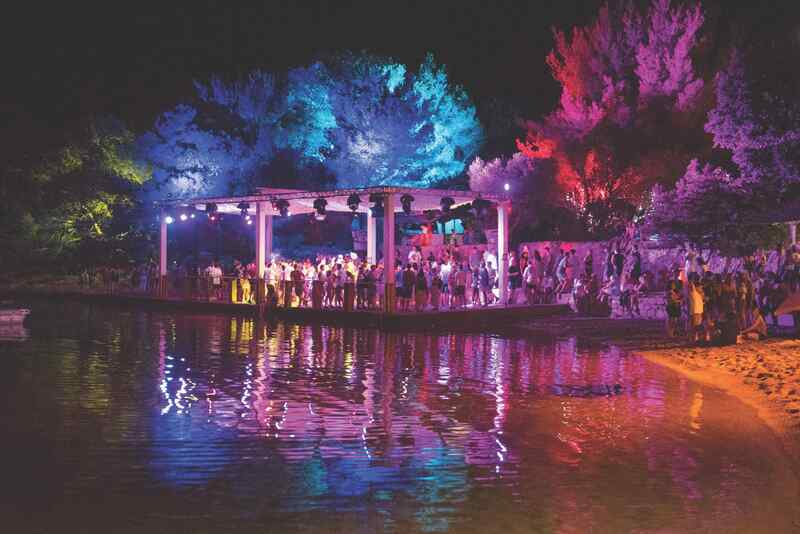 NOW in its third year, Love International means intimacy and expert curation, luring some of the most forward-thinking electronic heads to Croatia’s most picturesque dancing destination. Avalon Emerson, Ben UFO, Craig Richards, Daniele Baldelli, Jane Fitz, Optimo, Prosumer, Shanti Celeste, infamous all-night spot Barbarella’s, boats and beaches. STAFF PICK: Call Super — this Brit’s versatility knows no bounds, so prioritise his set. NOT just a clever name, urban sounds dominate all seven days at Fresh Island. This time round, attendees can catch Canadian R&B hitmaker, PARTYNEXTDOOR, Californian show-stopper Vince Staples, J Hus, Tim Westwood and Wiz Khalifa, who’ll be keeping heads bobbing across dance oors, decks and golden sands. STAFF PICK: Ty Dolla $ign — keep it fun with his club pop/hip-hop. ONE of the UK’s most prominent drum & bass brands heads to beautiful Tisno for the first time this year. Andy C, Calibre, dBridge, DJ Marky, High Contrast, Ivy Lab and many more are confirmed, with stages hosted by the likes of Med School, Blu Mar Ten, Sunandbass and Critical. STAFF PICK: Calibre b2b dBridge — three hours from two of d&b’s nest. SEVEN days of soul-tinged sets from the crew behind Southport Weekender, 2018’s instalment of this Croatian institution looks set to pack plenty of jack — Kerri Chandler, Motor City Drum Ensemble, DJ Spen, Mike Dunn, Jamie 3:26 and a showcase celebrating 15 years of Parisian house club Djoon. STAFF PICK: Osunlade — drum-driven, world music-in ected house and disco. MARKING a decade of decadence, 2018 will be the last ever Soundwave. Talk about going out with a bang: soulful rapper Loyle Carner, hip-hop jazzist Jordan Rakei, the genre-defying Submotion Orchestra, nu-soul duo Children of Zeus, Rinse FM’s Josey Rebelle, Romare live and Egloo don Alexander Nut are here. STAFF PICK: Mica Millar — one of modern soul’s brightest new stars. ONE for EDM, future house and trap fans, Black Sheep takes over four incredible venues at Zrce Beach — Papaya, Club Aquarius, Kalypso and Noa. Making the most of the incredible production those addresses offer will be KSHMR, Nervo, Tchami, Yellow Claw, Quintino and Will Sparks, to name but a handful. STAFF PICK: Chocolate Puma — Dutchmen who’ve been making house anthems since 1991. HOUSE music all night and all day long, sun- soaked rhythms, upfront fours and disco edits abound. Big hitters like Basement Jaxx, Masters At Work, Dennis Ferrer, Derrick Carter, Dimitri From Paris, Honey Dijon and Nightmares On Wax join rising stars such as Dan Shake, Camelphat and DJ Boring. STAFF PICK: Black Motion — this South African duo’s live tribal rhythms are unmissable. A marathon of all things tech-y, the tagline #ravetheworld tells you pretty much everything there is to know about the attitude of those behind Barrakud. At the time of writing line-up details are scarce, although German mainstays like Ben Klock and Marcel Dettmann, and house don Claptone are locked in. STAFF PICK: Paul Kalkbrenner — his commanding headline sets rarely disappoint. ARGUABLY the most essential ticket in Croatia for those in need of proper techno, the sixth edition of Sonus looks as heavy as ever. Legends like Sven Väth, Ricardo Villalobos and Adam Beyer share sweat and honours with new school talent such as Charlotte de Witte, Amelie Lens and Nastia. Big in the game. STAFF PICK: Praslesh — Raresh and Praslea bring minimalism with energy. AN offshoot of the larger and longer-running Dekmantel Festival in Amsterdam, Selectors is about proven crate-diggers packing long sets with whatever feels right. 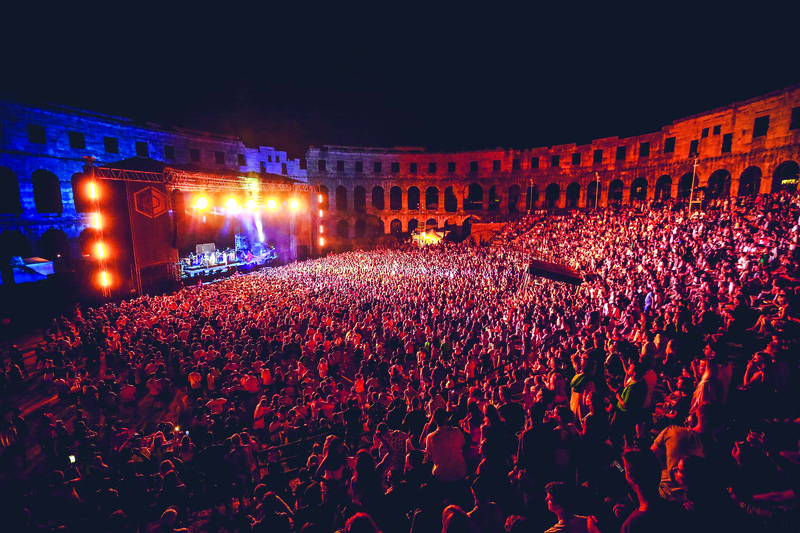 This year’s bill includes Antal, DJ Harvey, Donato Dozzy, I-F, Lena Willikens, Donna Leake, San Proper, Orpheu The Wizard, Debonair and Vladimir Ivkovic. STAFF PICK: Sadar Bahar — boasting rarities and all-night stamina, this DJ epitomises Selectors. ONE of Europe’s most musically progressive festivals, Dimensions returns to its home — an abandoned fortress — with another incredible bill. From electro heroes DMX Krew and DJ Stingray to house standard-bearer Moodymann, downtempo don Bambooman, DJ Mag one-to- watch Anastasia Kristensen, and a full Hessle Audio squad, it’s unarguably impressive. STAFF PICK: Kraftwerk — the pioneering outfit in a Roman amphitheatre = insanely special.